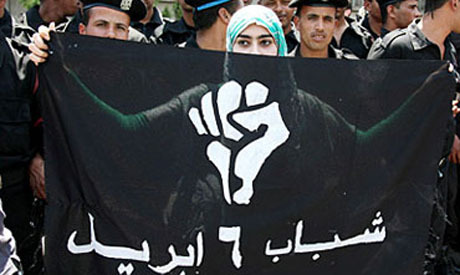 The April 6 youth movement has hit back at recent claims by Major-General Hassan El-Roweiny, a member of Egypt’s ruling military council, that the group accepted foreign funding. Allegations of foreign funding surfaced in July when El-Roweiny, in a televised appearance, asserted that the movement – despite its undeniable role in Egypt’s January revolution – had been funded by foreign countries and had foreign agendas. According to April 6 spokesman Mohamed Affifi, the movement, in a bid to prove its innocence, has filed a case with the prosecutor-general against some of its own members, urging him to investigate them for any possible wrongdoing. Affifi, however, said that none of its members had yet been called in for questioning even though the complaint was lodged four months ago. Affifi added that an investigating committee at the Ministry of Justice had previously absolved the group of the accusations.